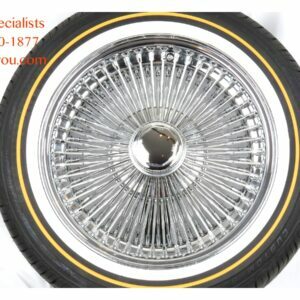 Commonly referred to as Daytonas, D’s, wires, spokes, knockoffs, and lowrider wheels, wire wheels are sure to give your classic car the look you feel it deserves. 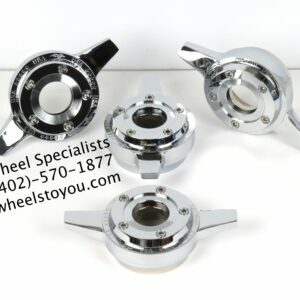 We carry wire wheels from 13″ to 24″, which means we can custom tailor a wheel to fit your needs. 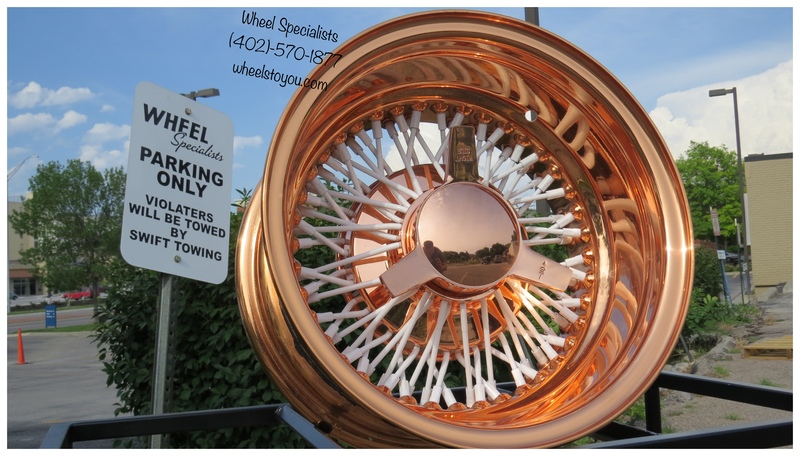 With many different colors in stock (including chrome, chrome and gold, gold, and many custom colors) Wheel Specialists will be able to help you find the wheels that will either match your vehicle or act as a great accent to the color of your car, truck or SUV! 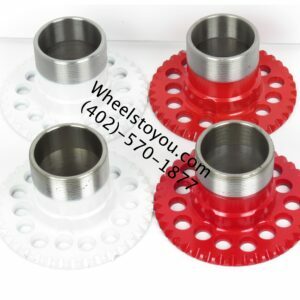 When you shop with Wheel Specialists, you reap all the benefits of working with a wheel retailer who has the ability to keep prices low while also having the knowledge you need in order to make sure you’re getting the right wheels. Shop with us today for great prices and outstanding customer service on the wheels and tires that you want. 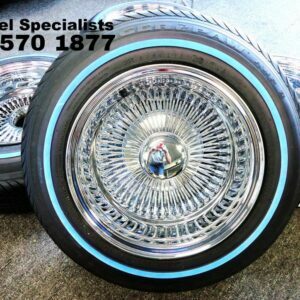 15×7″ Front wheel Drive 100 Spoke all Chrome wire wheels with Vogue 215-70-15 Whitewall / Gold stripe Package!